"Spam emailers have exploited fears over an impending pandemic to send up to six billion rogue emails to advertise counterfeit drugs in the hope of securing credit card data. Security experts at McAfee Inc said the names of celebrities, such as Madonna, were being added to subject lines to draw attention to spam which would otherwise be avoided". El Instituto Mexicano de la Propiedad Industrial comunica que se han puesto a disposición de los usuarios tres nuevos servicios electrónicos con cobertura a nivel mundial. El uso de dichos servicios es totalmente gratuito y sin límite de horario. El SIGA es el Portal Oficial de la Gaceta de la Propiedad Industrial para la puesta en circulación, consulta y descarga electrónica de la Gaceta de la Propiedad Industrial. Con éste servicio podrá consultarse más de 136 años de información publicada en la Gaceta de la Propiedad Industrial en todas sus modalidades. Con el ViDoc se podrá consultar y descargar alrededor de un millón y medio de expedientes de propiedad industrial de carácter público. Abarca las siguientes áreas: marcas, patentes concedidas, asuntos contenciosos resueltos, memorias técnicas y del Registro General de Poderes (RGP). La nueva versión del servicio MARCANET además de que permite consultar información de marcas, nombres y avisos comerciales registrados o en trámite, ahora integra los datos bibliográficos con el expediente electrónico del ViDoc. Sin lugar a dudas estos nuevos servicios serán de mucha utilidad. "Members, when requiring, as a condition for approving the marketing of pharmaceutical or of agricultural chemical products which utilize new chemical entities, the submission of undisclosed test or other data, the origination of which involves a considerable effort, shall protect such data against unfair commercial use. In addition, [m]embers shall protect such data against disclosure, except where necessary, to protect the public or unless steps are taken to ensure that the data [is] protected against unfair commercial use." "In order to obtain authorization to commercialize products which utilize new chemical entities, it is necessary to file the data with the regulatory authorities. It is obvious that such vulnerable data should be safeguarded, whether or not it is protected by a patent. Article 39(3) ... establishes a series of requisites that, once present, bind the governments of member countries to protect data against any unfair commercial use. As a general principle, when interpreting Article 39(3) it is essential to consider the basic purpose of establishing a legal system for data protection (ie, to encourage the introduction of new pharmaceutical and agricultural chemical products onto the market). It is unfair and unjust to allow a third party which has not made the necessary investments to introduce new products onto the market, saving significant costs and thereby discouraging the necessary investments of the innovators. There is no indication in the TRIPs Agreement that a competitor must acquire the data by means of dishonest practice or conduct in order for a commercial use to be considered unfair. It is sufficient that the competitor has unfairly benefited from the innovator's original investment in producing the scientific data. When Argentina enacted the Confidentiality Law (24,766) in December 1996, it was assumed that this rule was intended to bring Argentine local legislation into line with the requirements of Article 39(3) of the TRIPs Agreement, which establishes the obligation to protect scientific data filed with the health authorities. However, the Confidentiality Law fails to grant adequate legal protection to scientific data in terms of the TRIPs Agreement. The health authorities' approval of products by similarity under the Confidentiality Law is inconsistent with Article 39(3) of the TRIPs Agreement, since such reliance of a member country on the data filed by an innovator in another member country commercially benefits a competitor of the originator and consequently constitutes unfair commercial use under the terms of Article 39(3). Several legal actions have recently been brought by data originators against unauthorized third parties that have obtained marketing approval for pharmaceutical products relying on the originator's data". In June 2008 IP Tango reported on the conclusion of the Australia-Chile Free Trade Agreement. This FTA came into force on 6 March 2009. Since Chile has already entered into similar agreements with China, Japan, India, Korea, New Zealand and Singapore, the Pacific seaboard nation is well placed to become a business platform between Latin America and the Asia-Pacific region. Now that the FTA is in force, 97% of Chilean products can enter Australia without custom fees. 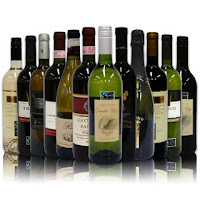 The agreement contains a detailed chapter on intellectual property, which states that the parties (both of which are now major wine producers) agree to protect IP rights in an effective, transparent and appropriate manner, reiterating their rights and obligations under the Agreement on Trade-Related Aspects of Intellectual Property Rights (TRIPs) and other multilateral treaties to which they are party. In addition, each party is to make reasonable efforts, in accordance with its domestic law, to ratify or adhere to the Madrid Protocol on international trade mark registration and to recognize the importance of the Joint Recommendation Concerning Provisions on the Protection of Well-Known Marks (1999), as adopted by the Assembly of the Paris Union for the Protection of Industrial Property and the general assembly of the World Intellectual Property Organization. Source: note by Sergio Amenábar, Estudio Federico Villaseca, Santiago, in World Trademark Review. El Magister Lvcentinvs de la Universidad de Alicante y la Oficina Española de Patentes y Marcas ofrecen una beca adicional, para alumnos de cualquier nacionalidad, para cursar la XVI edición del Master de Propiedad Industrial e Intelectual y de Derecho de la Sociedad de la Información. La beca cubrirá media matrícula para el próximo curso completo (2009-2010). Los candidatos deberán presentar su candidatura antes del 31 de mayo de 2009. La beca se concederá antes del 15 de junio de 2009 publicándose la lista de beneficiarios en la página web del Magister. Más informacion en magister.lvcentinvs@ua.es o en www.ml.ua.es. La semana pasada un juez estadounidense sobreseyó un recurso presentado por Cubaexport - la empresa estatal cubana de importación - contra la decisión adoptada por la Oficina estadounidense de Control de Bienes Extranjeros del Departamento del Tesoro en la que se le negaba la renovación del registro de su marca. Según la noticia publicada por AP, la disputa se remonta décadas atrás y está ligada a la expropiación de propiedades durante la revolución cubana, el embargo comercial hacia la isla y la ley estadounidense de marcas. El Havana Club hecho en Cuba no se vende en Estados Unidos debido al embargo comercial, pero en 1976 la compañía que lo produce logró registrar el nombre en territorio estadounidense para futuras oportunidades en caso de que el embargo sea cancelado. Tiempo después el productor de licores francés Pernod Ricard se asoció con el gobierno cubano para vender el Havana Club en todo el mundo y ha logrado ventas exitosas fuera de Estados Unidos. Ahora bien, en 1998, Bacardi consiguió que el Congreso aprobara una ley en 1998 que evitara el registro o la renovación de las marcas relacionadas con las compañías que nacionalizó el gobierno de Cuba. Es esta ley en la que, precisamente, está basada la decisión que, finalmente, no ha sido revocada. 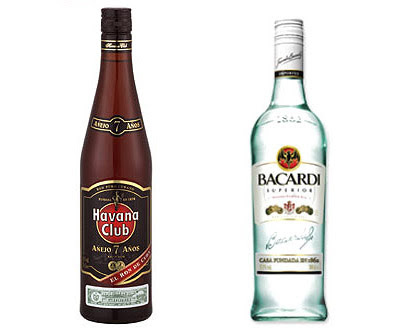 La decisión supone un paso atrás para los intereses de Pernod Ricard y un paso adelante para Bacardi, compañía que compró la receta original y el nombre de Havana Club a la familia Arechabala en 1994, y que se consideran titulares legítimos de la marca. The Brazilian Health Minister announced last week that it has entered into nine Public-Private Partnerships (PPP) with national laboratories and pharmaceutical companies. Such ventures take place by allowing selected public laboratories to execute Research and Development Agreements with local private companies with proven activities in the drug development. Further, the partnership comprises the technology transfer and the development of 24 drugs no longer protected by patents. According to the Health Minister, the PPPs aim to (i) rebuild the national pharmaceutical industry, destroyed in the nineties by the market liberalization, (ii) lower the rate of imported medicines, today representing approximately 80% of national consumption and (iii) cut public expenses of approximately US$ 80 million per year with a relevant impact to the SUS. One of the medicines highlighted by the Health Minister during the press release as an example of the costs associated with the importation of medicines was FACTOR VII, manufactured by the Danish company NovoNordisk for the treatment of hemophilia, which had cost to the public treasury last year almost US$ 20 million. For now, the laboratories and pharmaceutical companies have a 30 day period to submit the respective proposal to the Health Ministry in order to be considered for this public-private partnership. In a recent decision, the Federal Court of the First Region in the city of Brasilia ordered the Federal Government to provide NAGLAZYME to a Brazilian citizen, notwithstanding the fact that this drug did not have the necessary market approval to be sold to and/or used by Brazilian patients, regularly issued by ANVISA (Brazilian FDA). NAGLAZYME is an enzyme replacement therapy used for the treatment of Maroteaux-Lamy syndrome (mucopolysaccharidosis VI, MPS VI), a rare, inherited and progressive metabolic disease that may lead to a severe disability, which affects approximately 1,100 persons in the world. Among the arguments raised in court by the Federal Government for not providing NAGLAZYME, it stated that (i) NAGLAZYME did not have ANVISA’s market approval, (ii) there was no cure for Maroteaux-Lamy syndrome, (iii) this medicine was approved by the EMEA and FDA without the necessary clinical trials (iv) a six month treatment would almost cost US$182,700. In spite of these arguments, the Court ruled otherwise and ordered the Federal Government to provide NAGLAZYME to this patient, on the grounds that the commercialization of the drug was already approved by the EMEA in Europe and by the FDA in the US. It also pointed out that the risks resulting from the use of the NAGLAZYME not yet approved by ANVISA are, no doubt, less than the risks from not receiving any type of treatment, especially to those patients which suffer from terminating disease. This decision represents a major breakthrough in the Brazilian legal system and may represent a leading case for other Brazilians with similar illnesses.